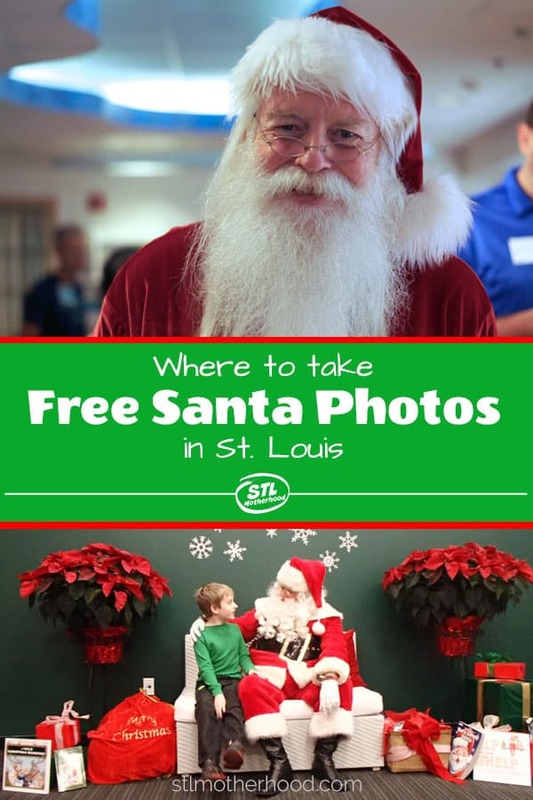 There’s lots of places to get a photo with Santa during the Christmas season in St. Louis–did you know that some of them are TOTALLY FREE? Check out an awesome St. Louis Gingerbread Village (complete with 5 foot chocolate Arch) while chatting with Santa and Mrs. Claus. Listen to carolers while sipping champagne (for the adults!) or hot cocoa and snacking on fresh cookies. BYO Camera. Children can bring a letter for Santa, or write one on the spot. BYO Camera; Reindeers will be on hand Sunday. Visit with Santa and Mrs. Claus, crafts, cookies, hot cocoa, balloon animals, face painting and a tree lighting ceremony. Buy a photo or BYO Camera. (Toy donation requested.) Visit with Santa and get a free photo. There will be balloon animals, face painting and a goodie bag for kids. Must be in line before noon. Meet with Santa, kids will get a holiday cookie. BYO Camera. Visit with Santa, make a craft and enjoy cookies & hot cocoa. Tree lighting at nightfall. BYO Camera. Get a free photo with Santa, play some games and do a free craft. Kids can write a letter to Santa and get an email back. Nov. 23 @11:45 to 4pm, Every Sat. Until Christmas @11am-2pm. Santa swaps his reindeer for a Harley! Free photos. Visit with Santa at the decked out train station. Santa will bring real reindeer on the 14. BYO Camera. 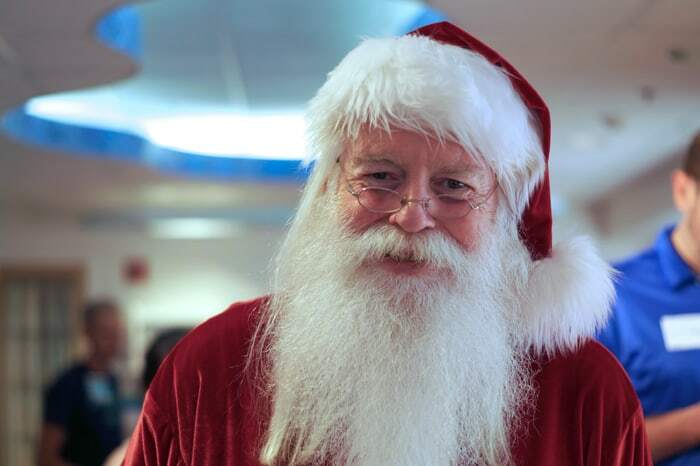 Here’s my complete list of where to find Santa in St. Louis! (This list includes events with tickets, admission fees or required photo packages.) Is your kid scared of Santa? Here’s tips on getting a good holiday photo without the big guy.